The Little Blue NRD Water Resources Committee meeting will be held 6:30 pm, March 12, 2019, in Davenport, Nebraska at the Little Blue NRD Board Meeting Room located on the south side of the building, east door. This meeting will be held just after the to the Projects & Planning Committee meeting at 6 pm and just prior to the Regular Board Meeting at 7 pm. This meeting was originally scheduled and advertised for March 12, 2019; however, because of dangerous weather conditions was rescheduled for March 18, 2019. 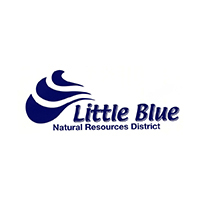 The Little Blue Natural Resources District is an Equal Opportunity Provider and Employer. Handicapped individuals requiring physical or sensory accommodations to participate in the meeting should notify the District Office (402-364-2145) at least two days in advance of the meeting.